Have you ever wondered if your sponsorship really is one-to-one? Christianity Today recently published an article on American perceptions of child sponsorship. A recent study by Grey Matter Research showed that 87 percent of Americans were familiar with child sponsorship. It also showed that many didn’t understand it. Some were skeptical — thinking sponsorship is a scam — while many others believe it’s a legitimate means to assist children who live in poverty. But even those who support sponsorship weren’t sure about whether one-to-one sponsorship was legitimate. When asked if they believed sponsorship was a one-to-one relationship, three out of four donors expressed uncertainty, saying they “somewhat” agreed or disagreed. At Compassion, we confidently declare that each child supported by our program is connected to only one sponsor. Rejoice met her sponsor, Morgan, for the first time in Togo. We are committed to the model of one child matched to one sponsor. As a sponsor, you can be confident your sponsorship donations benefit the child you chose to sponsor. All while knowing that child is receiving support only from you. Sometimes a group of friends, a business or a church choose to sponsor a child together. But in every case, they are the only sponsor to receive information, pictures and correspondence from that child. 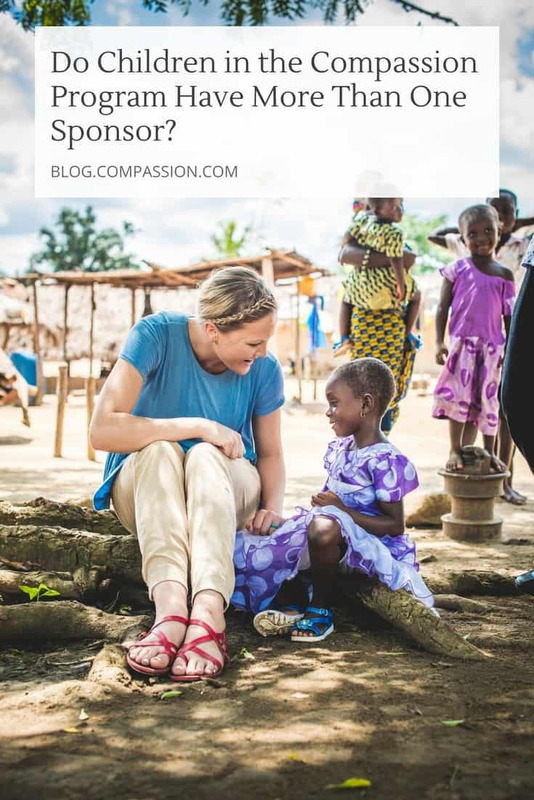 In Compassion’s model, when a sponsor gives to our ministry, he or she knows that the money will be spent at the local church level to directly benefit his or her sponsored child. In my case, I can rest assured that Hamilton in El Salvador is being fed, getting help with his school work, learning about health and hygiene, developing his social skills, and is being taught Scripture-based values as a direct result of my sponsorship commitment. Our approach to child sponsorship differs from some sponsorship organizations in that we partner with the local church to implement the program. Also, the main focus of our program is individual child development rather than community development. 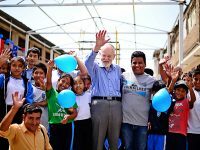 Sponsorship donations received from a sponsor are sent to the church the child attends for the benefit of the child sponsored. 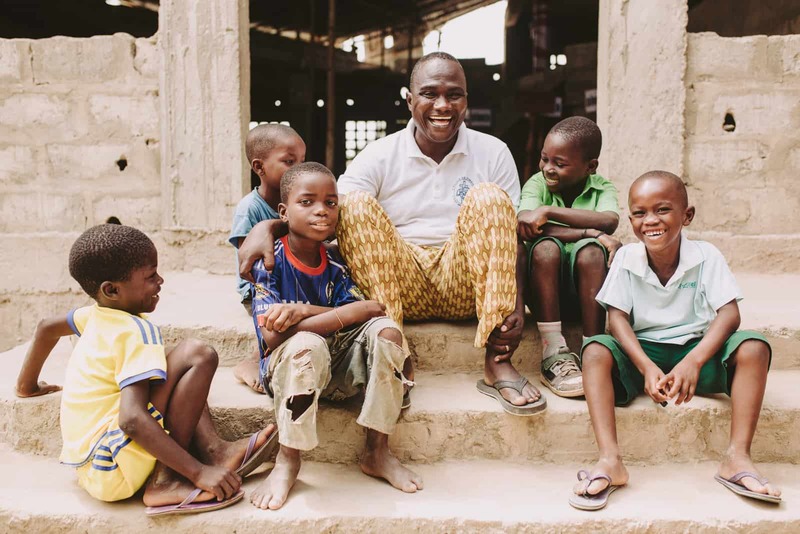 Pastor Bomboma spending time with sponsored children outside of his church in Togo. Children don’t receive cash through sponsorship. Instead, they receive access to health care, educational opportunities, biblical teaching, and other aids for holistic development. But am I really getting to exchange letters with the child I sponsor? The answer is a resounding yes! The photo of the child you sponsor isn’t on anyone else’s fridge. And he or she really does receive the personal letters you send and he or she writes you in return! 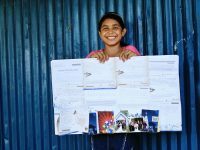 Joscelyn in El Salvador proudly displays all the letters from her sponsor. One area The Donor Mindset Study captured a strongly positive perspective was in regards to correspondence. Approximately 94 percent of current sponsors are confident their letters are a great opportunity for one-to-one contact with the specific child they sponsor. 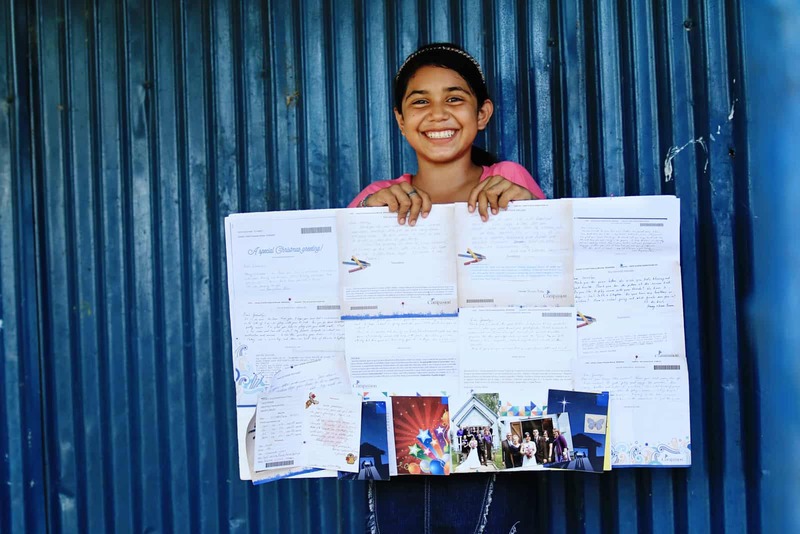 We counted 8 million letters exchanged between Compassion sponsors and students in the last year! One of the best ways to build a life-giving relationship with a child living in poverty is through regular letter-writing. Sponsors appreciate hearing from the child directly. 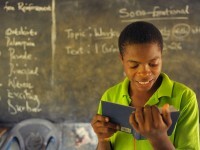 They gain insight into his or her life while also having the invaluable opportunity to encourage the child in return. This isn’t just a gimmick. We believe strongly in the power of a one-to-one relationship. Especially as they’re developed over years of sending supportive and encouraging letters to a child in difficult circumstances. 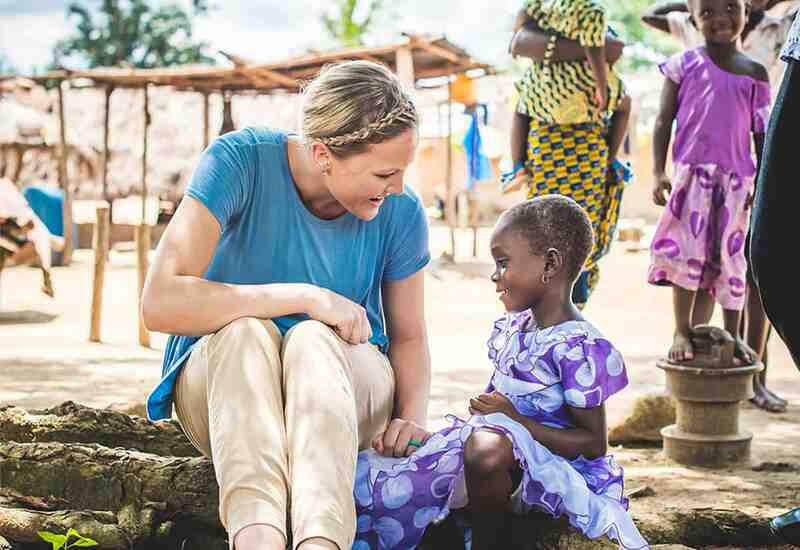 With the uncertainties surrounding child sponsorship, the author of the Christianity Today article writes, “Organizations that offer the option to visit a sponsored child help their donors to feel their operation is legitimate.” We agree! Compassion sponsors are welcome to visit the child or teen they sponsor. They can go on their own or as part of a Compassion-organized trip. Visiting the child in whom you are investing is a life-changing experience that will grow your faith, as well as bless and encourage him or her. Norman and Andrews built a relationship through sponsorship for 14 years before meeting for the first time. We work hard to earn and maintain the trust of our sponsors and donors. It’s important for us to keep the doors open so everyone can keep us accountable. Whether it’s financial integrity, child protection or program effectiveness, we invite people to investigate this ministry. We may not be able to eliminate all doubts and concerns, but we’ll continually try to address them. 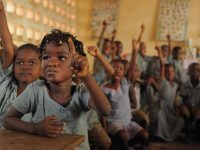 Is there anything else you’d be curious to know before you decide to sponsor a child? Leave a comment below and we’d love to answer you! Written by Devon Cornelius and originally published on the Compassion Canada Blog. Prev Post:11 Remarkable Photos of “Tiny Homes” in the Developing WorldNext Post:How Long Does It Take for My Letters to Be Delivered? I sponsor a child only through communication, not financially. How do I find out if this child is being financially sponsored? Hi, Terry! Thank you so much for being a correspondent to a child. 🙂 All of the children who have correspondents are being financially sponsored, and the financial sponsor willingly put the child on a list of children who need someone to write to them. Hi, I had a question about my general gift that I gave in February. I noticed that it was stated that I would receive a photo of my child with the gift/gifts that they received from my general gift. I haven’t gotten a photo yet & I was curious as to how long it usually takes to receive the photo? Thank you. Hi Jason! Thank you so much for blessing your sponsored child in such a tangible way! It can take between two to three months for gifts to be wired and received. This means that you can expect the thank you letter and photo between three and six months after the gift was given. I trust you will receive this thank you letter and photo real soon. because i had worked with you earlier, is it possible reapply and be accepted as employee? Hello Simon! You are welcome to apply to work for Compassion again. We cannot guarantee a job position for you, but your application will be reviewed and you will be contacted if we would like to pursue an employment opportunity for you. My husband and I have sponsored a child in Tanzania for 10 years. He is now 16. How long will we be able to sponsor him? Is there an age cut off?? And how do we continue communication if there is? Hi Terry! We cannot express how grateful we are for your amazing hearts for this ministry and your desire to help your children find freedom from poverty. What a blessing it must have been to watch Selemani grow into the bright young man he is today! The maximum completion age is 22 years old in 22 of the 25 countries we work in. However, the completion age in the Dominican Republic is 20, and the completion age in Guatemala and Nicaragua is still 18. One day we hope to raise the completion age to 22 for all the countries we work in :). 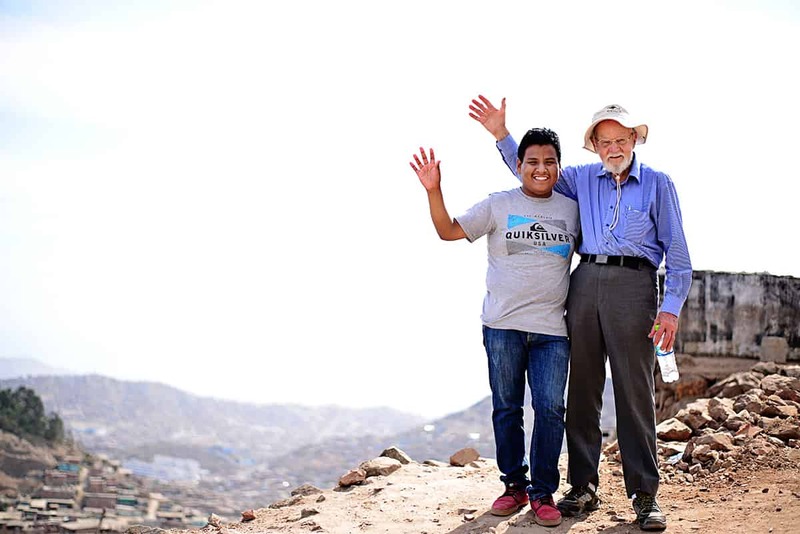 Although our beneficiaries have the option to stay in the Compassion program until age 22, some may choose to leave early or move away from the area. I hope that Selemani will continue to attend the program to receive the maximum amount of benefits and opportunities to become a fulfilled and successful adult free from poverty. We pray that he will break the cycle of poverty within his family. Please let us know if you have any additional questions or concerns. God bless you! I have a question, if there are more than one child in a family, can the other children have sponsors, too? Hi Janet! The decision regarding how many children can be sponsored per family is made by the local project leadership. Because the project leadership knows the needs of their community better than we do, we let them decide if it is better to have one sponsored child from many families rather than multiple children from one family. There are families who have more than one child in the program, but usually you will only see one child per family registered in the program. The other children in the families do benefit indirectly by things the registered child shares and by participating in the partner church activities.